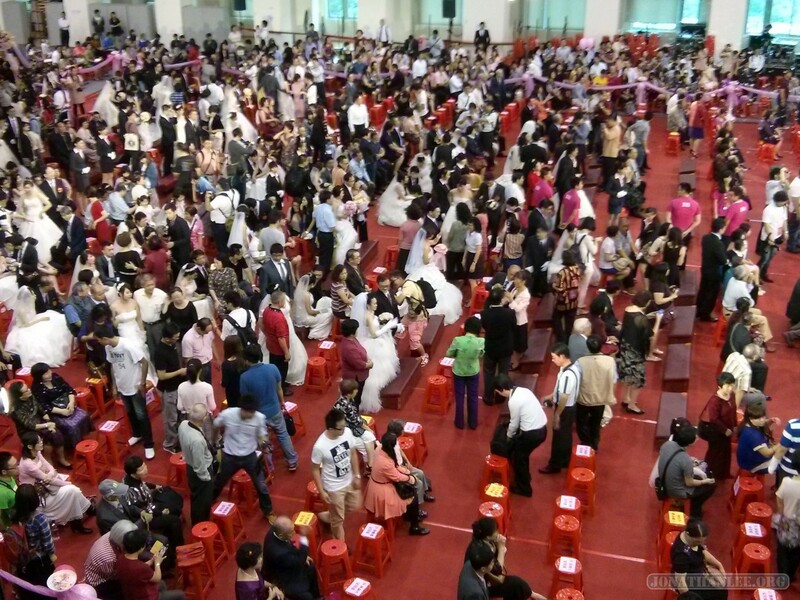 I’m not kidding – it’s 85 couples – note that unlucky numbers 4 and 44 are omitted. 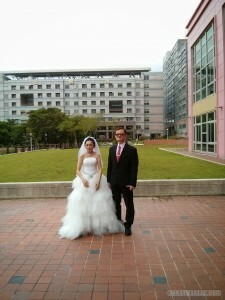 This is my cousin and his bride! 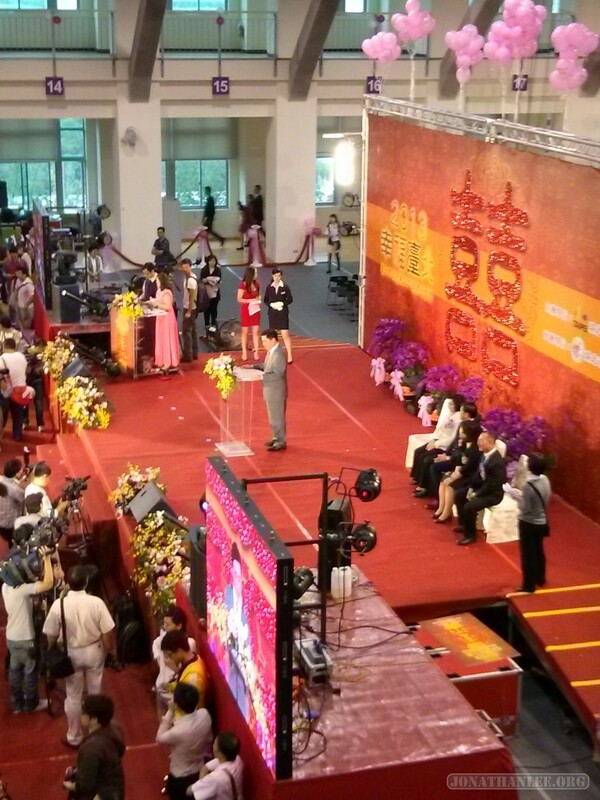 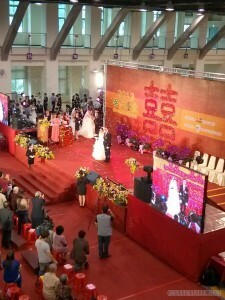 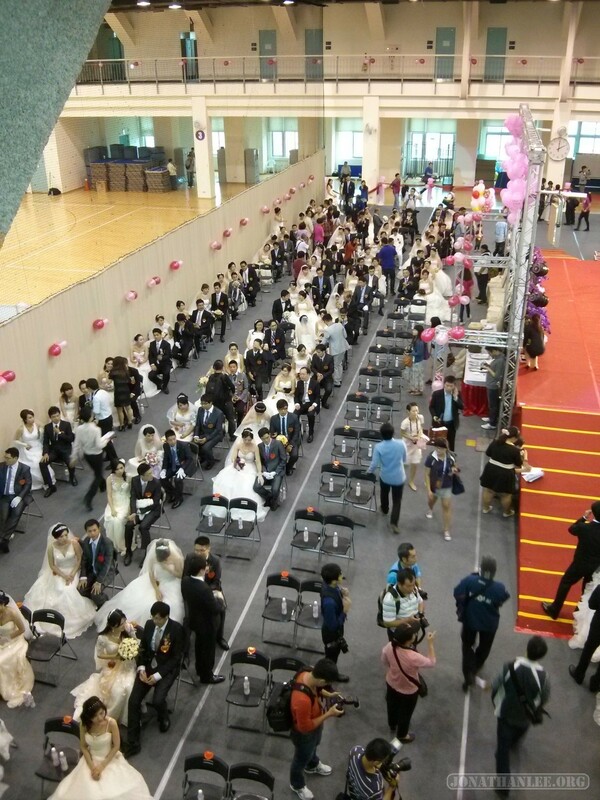 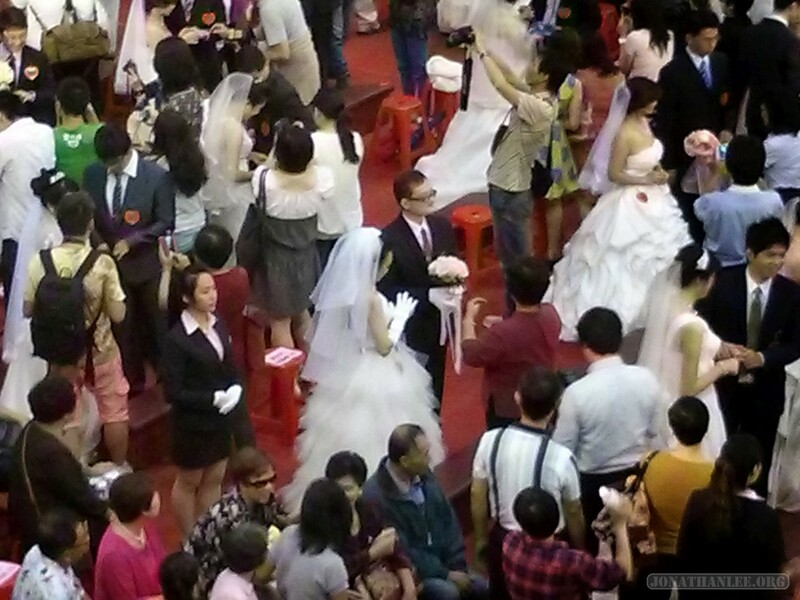 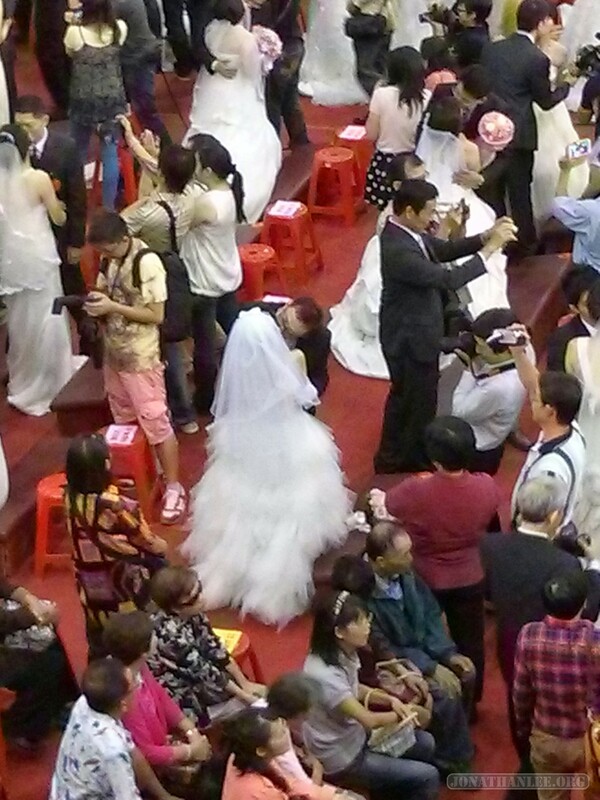 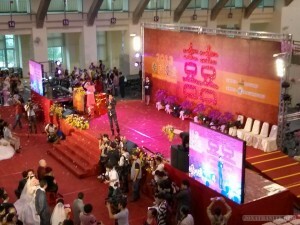 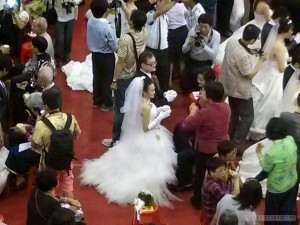 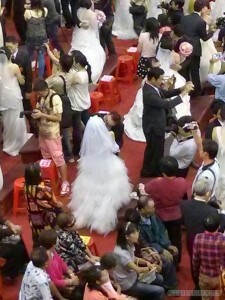 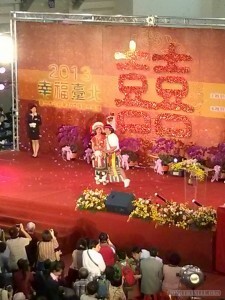 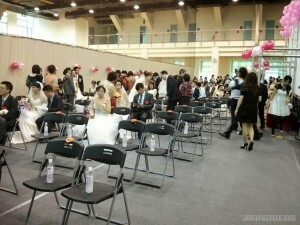 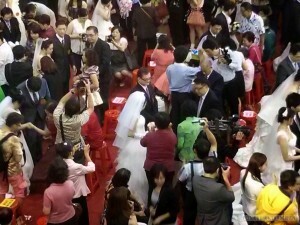 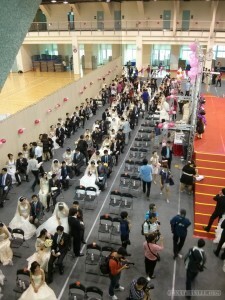 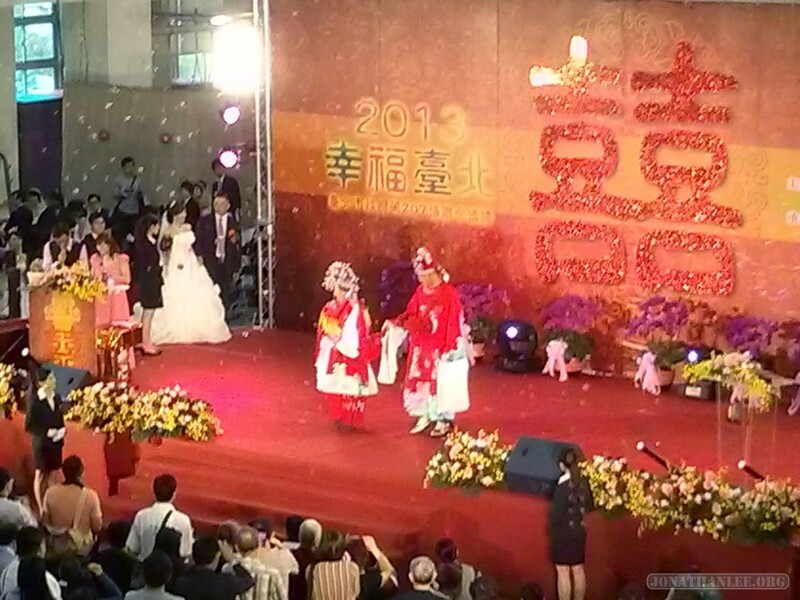 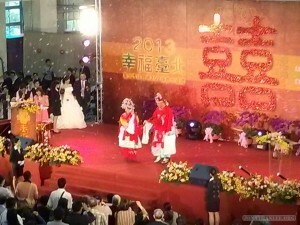 The mayor of Taipei came to give a long meandering speech and later take photos with each newly married couple. 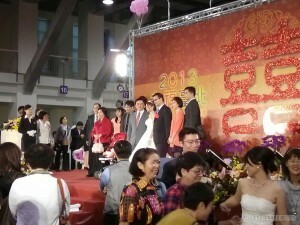 Free PR, on the happiest day of each newly married couple’s life! 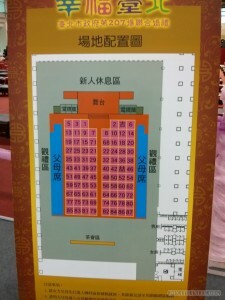 A deft political maneuver! 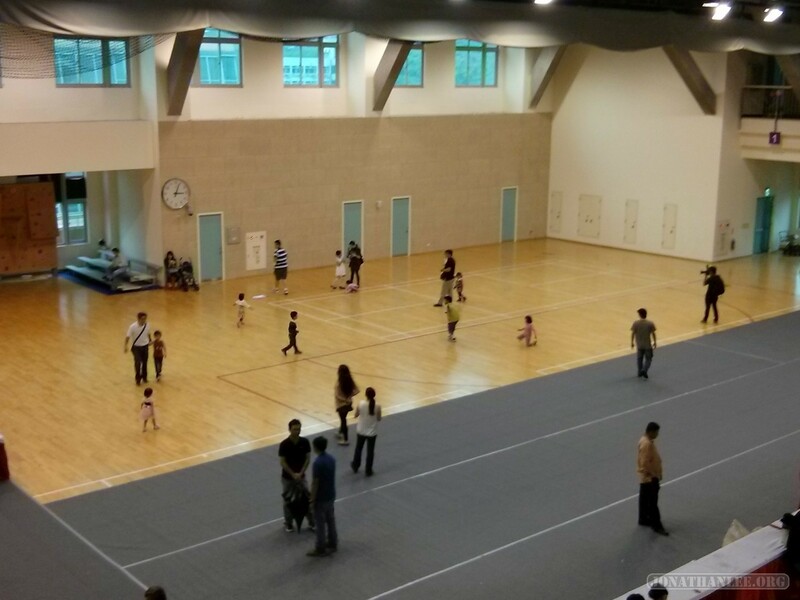 Meanwhile, to the back of the building, all the kids got bored and wandered off to play. I can’t say I blame them. And bam! 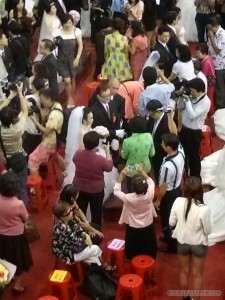 Confetti to make it all official! 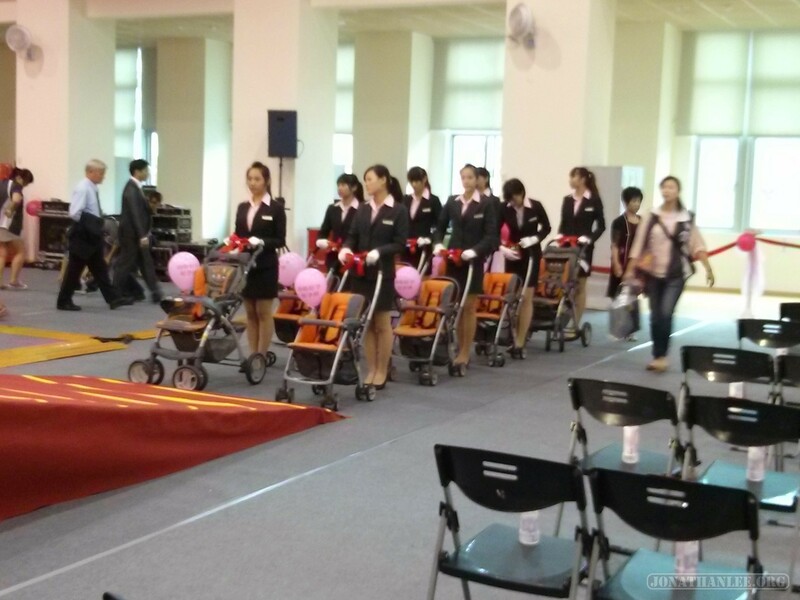 Free strollers for newly married couples, to promote having kids! 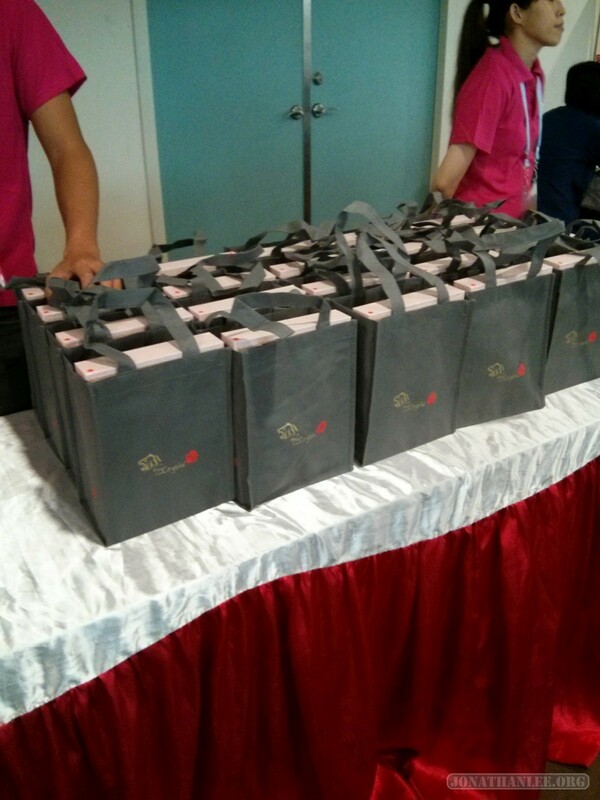 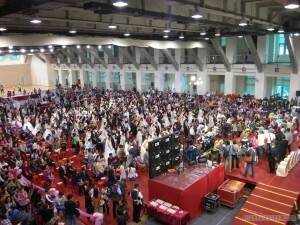 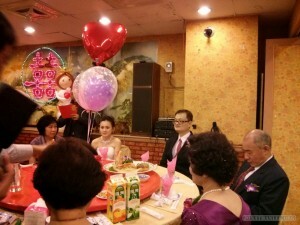 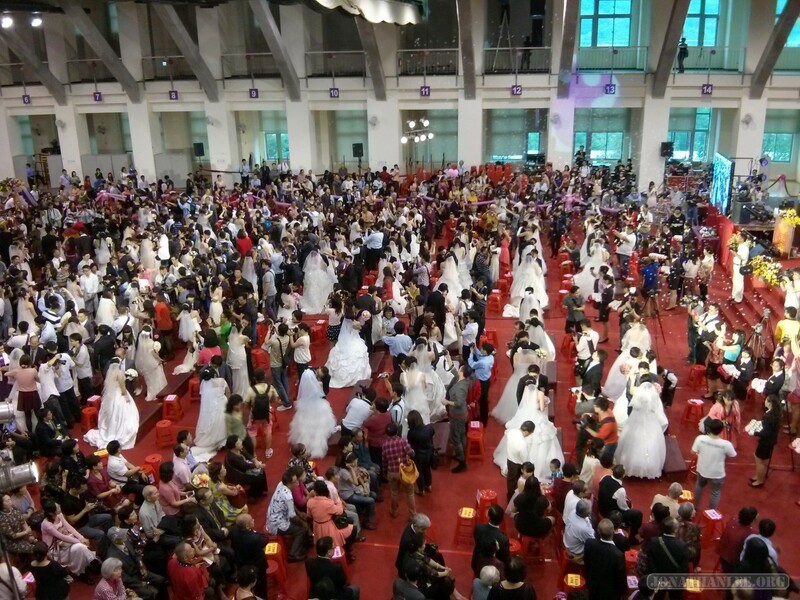 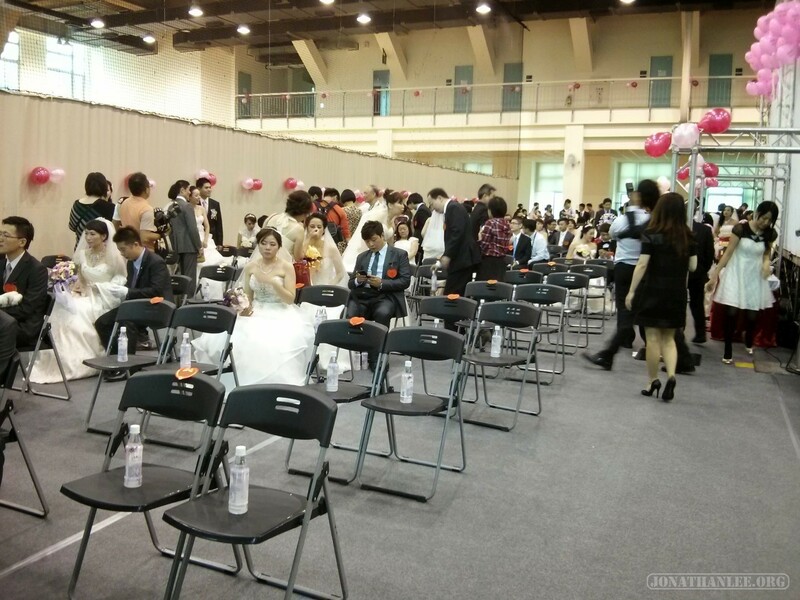 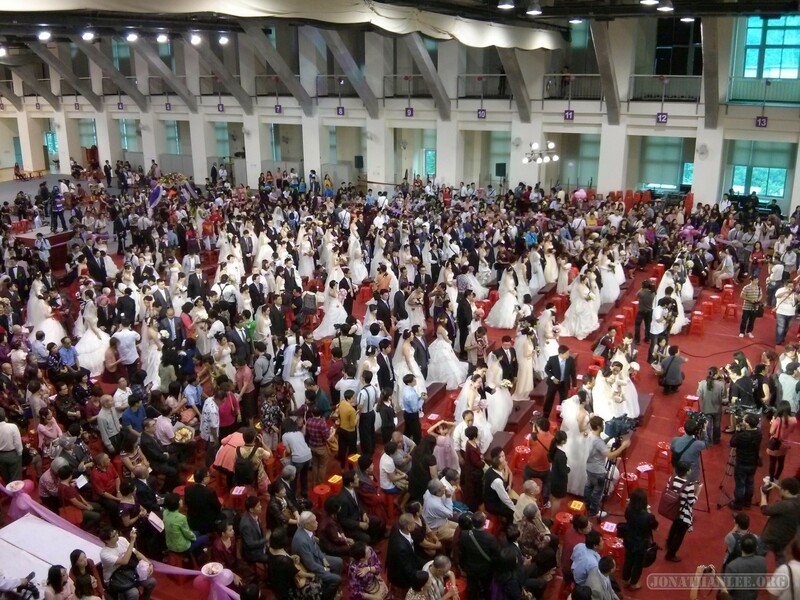 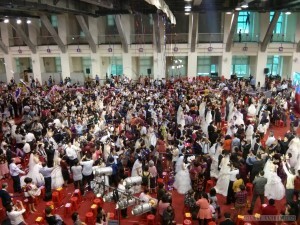 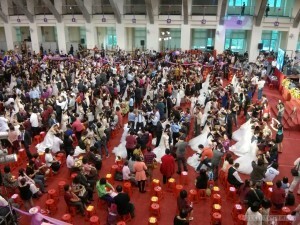 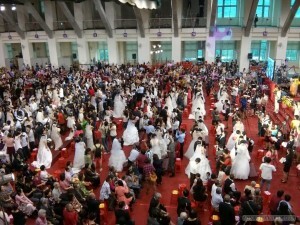 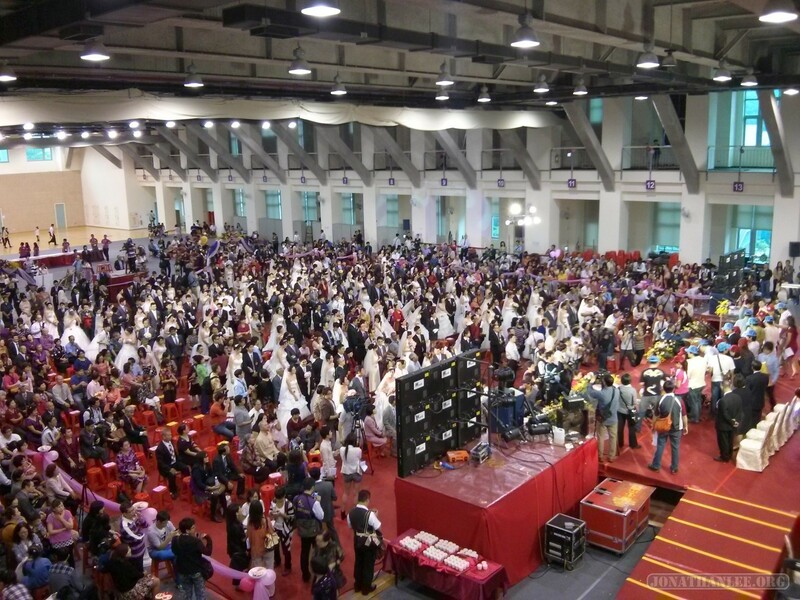 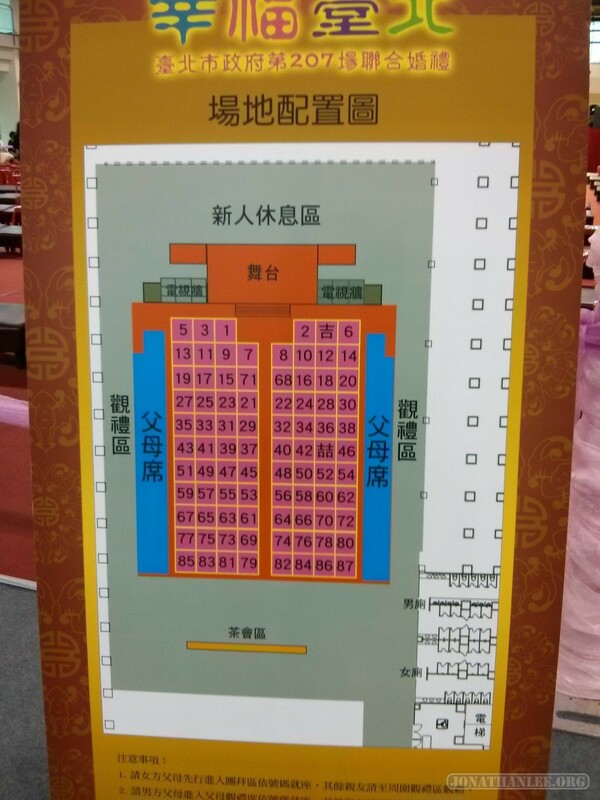 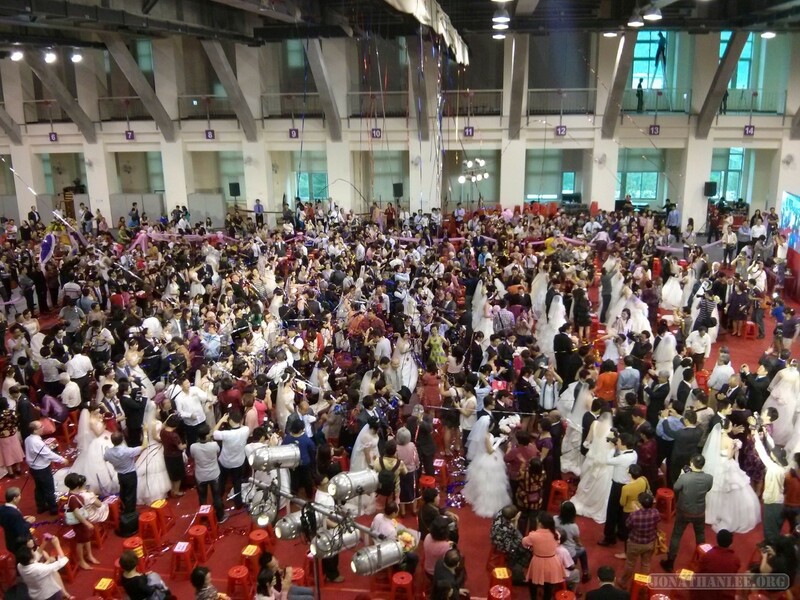 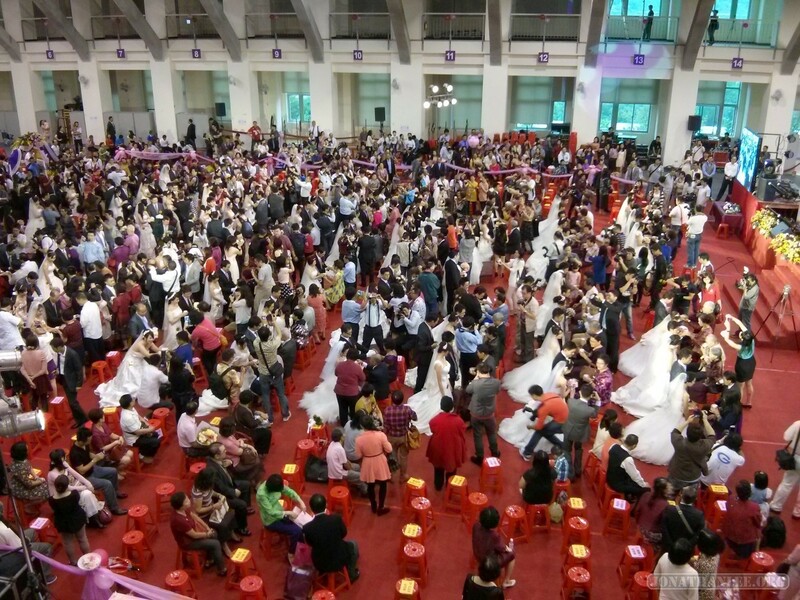 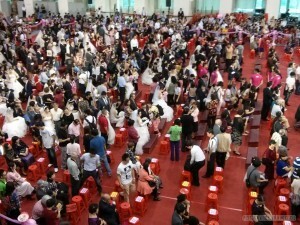 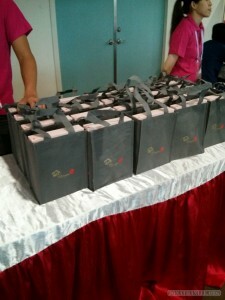 Of course, no Chinese wedding is complete without a banquet. 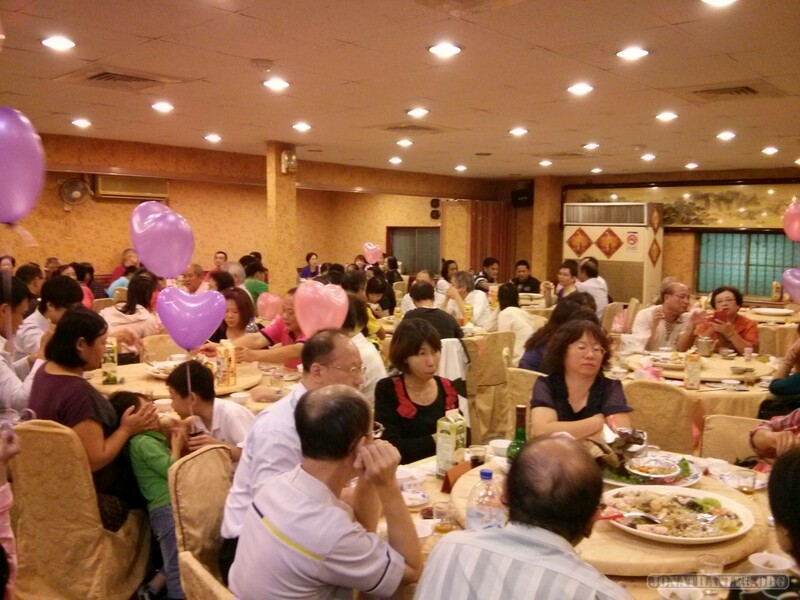 An entire restaurant full of people (200+), and they’re *all* relatives of mine. What the heck, I don’t know any of these people! 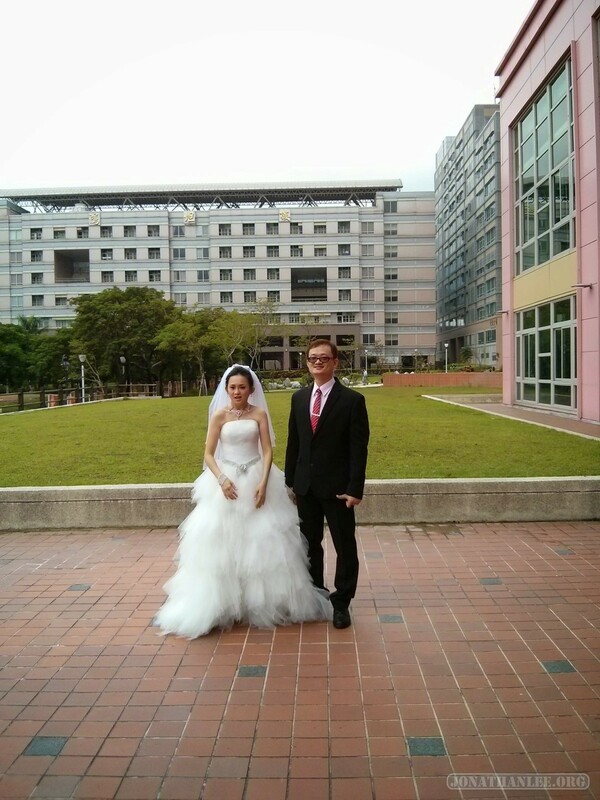 And one last photo of the newly married couple, for good luck!